Is this the Super Bowl’s next GoDaddy? Toyota, Doritos, Bud Light, and ... Wix? If you've seen this year's list of Super Bowl advertisers, you might be questioning exactly what Wix is. But while tech companies like Wix aren't quite household names, they've been betting big on Super Bowl ads for decades. "It was an insane success," said Kelly O'Keefe, professor of brand strategy at the Virginia Commonwealth University Brand Center. In those days, Apple was hardly the Goliath it is today. The company had gone public just four years prior. 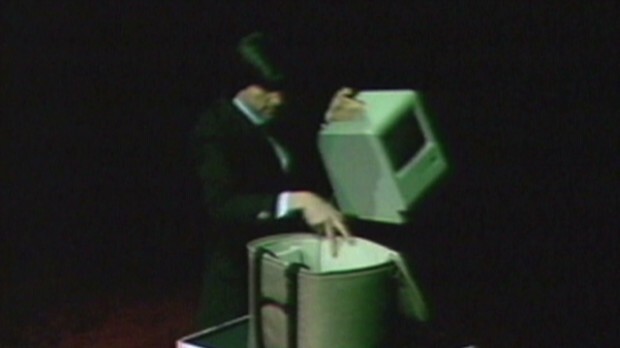 And its Super Bowl ad introduced the Macintosh, its first mass-market personal computer, to the world. Directed by Ridley Scott, Apple's ad made the American event one of the year's biggest advertising stages and led to increased production values across the board. Wix is hoping to take a play from Apple's book -- and make a name for its brand with the 100 million people watching the Super Bowl. Founded in Israel in 2006, Wix lets businesses and individuals build their own websites -- no coding experience required. It has 900 employees, 58 million registered users (80% of whom are small business owners) and offers its services in 11 languages. Like Apple, Wix (WIX) is entering the Super Bowl after a recent IPO: It went public in November 2013. In its Super Bowl debut, Wix features legends Brett Favre, Terrell Owens, Emmitt Smith, Larry Allen and Franco Harris. The former NFL stars use Wix to get their dream businessesonline as part of its "#ItsThatEasy" campaign. Coughing up money to secure a game day spot isn't nearly enough. "In 1999 and 2000, we had a lot of tech companies who thought this was the recipe and many of those are not around anymore," said O'Keefe. Wix has already rolled out nearly a dozen teaser videos on YouTube, its website and in a national TV campaign. "We are updating and changing the campaign on a daily basis according to performance," said Chief Marketing Officer Omer Shai. "This is the year that we're comfortable [taking] the brand to the next level." Apple's ad catapulted the company into the big leagues: within six hours of its 1984 broadcast, it captured $4.5 million in sales. The Super Bowl helped other fledgling tech companies become recognizable names. GoDaddy put itself on the map with its risque ads. In its 2005 debut, it satirized Janet Jackson's wardrobe malfunction from the year before. Monster.com's emotional 1999 "When I Grow Up" ad likewise made the site a go-to for job seekers. "If you succeed, you succeed big. [But] there are as many failures as successes." said O'Keefe. That includes the now-defunct Outpost.com, an online electronics retailer, whose 1998 spot featured gerbils shooting out of a canon. "All they talked about was the name ["Outpost"]," said Derek Rucker, professor of marketing for Northwestern's Kellogg School of Management. "While this certainly works for awareness, there's no follow-up message of why users should care, or what their point of differentiation is." Groupon's (GRPN) 2011 Super Bowl ad also fell flatin an attempt to make light of China's occupation of Tibet. Groupon later issued an apology and pulled its ad from airwaves. "What a Super Bowl ad can do for a nouveau brand is give that awareness," said Rucker. "It can have huge implications."